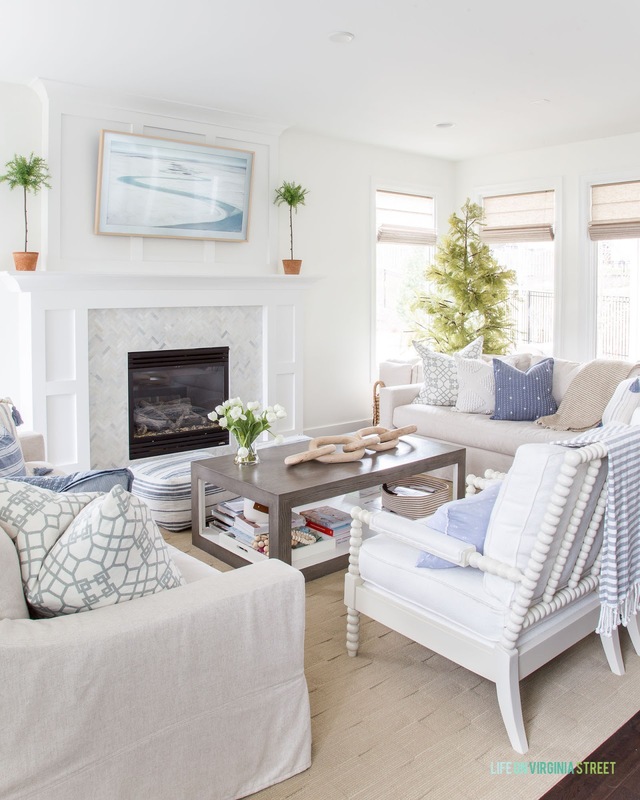 I like these budget-friendly design tips! 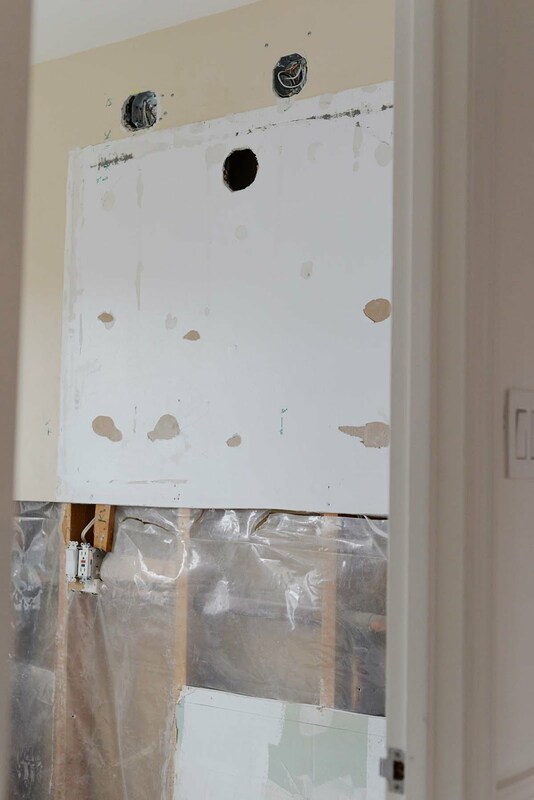 I like Emily's work but it seems some of her decisions were rookie renovation mistakes. The double stacked baseboards alone have me cringing. The comments are worth a read too! 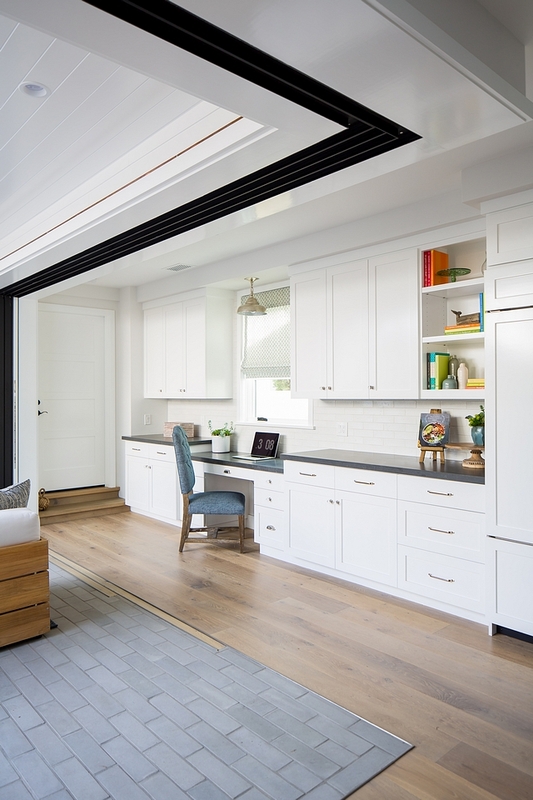 I'm crazy over the sliding walls in this modern farmhouse! Wishing a blessed Easter to those of you celebrating! Welcome and thanks for stopping by! 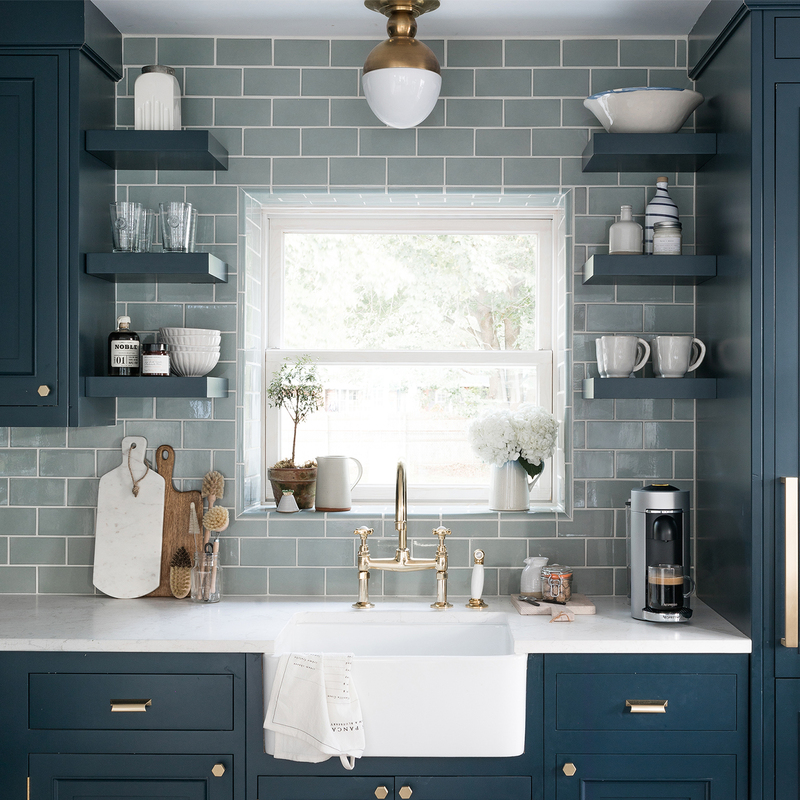 If you're new here, I'm a Toronto-based, plaid-loving blogger who's intent on fixing up her city colonial and her country cottage, one DIY at a time. 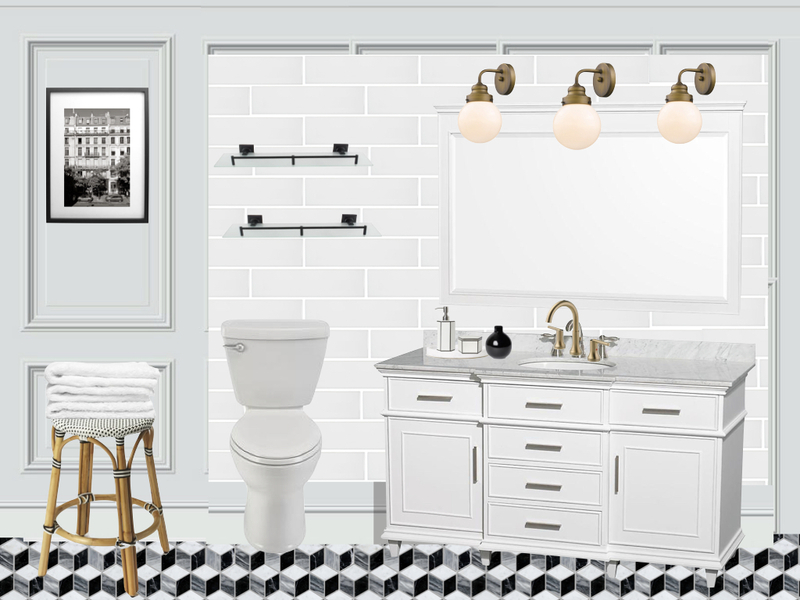 It's Week 3 of the One Room Challenge which means we're in the dirtiest, messiest part of the whole renovation. And judging by these photos, that part is true. Let me catch you up with what we've done so far. Catch up on Week 1 and Week 2 progress if you missed it. Here's the tub alcove. 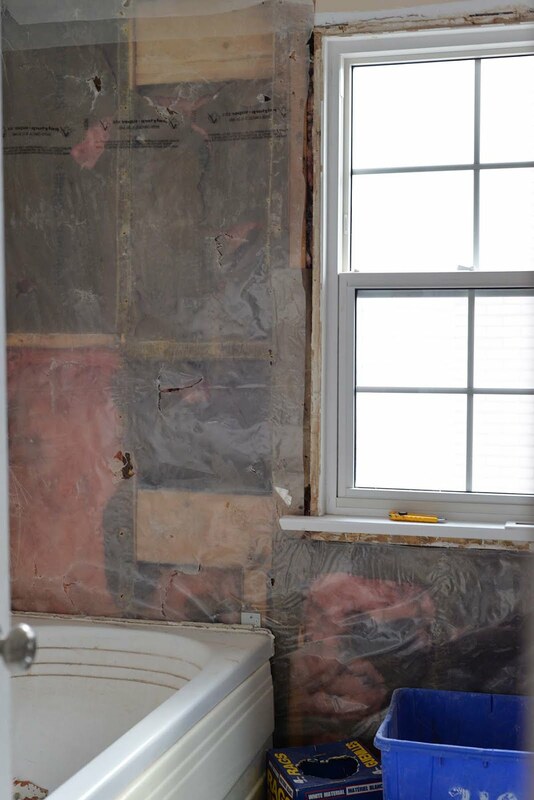 All the wall tile and cement board has been ripped out. Hooray! The gross jacuzzi tub is gone too (though we had to saw it in half as it was too heavy to carry down the stairs!). 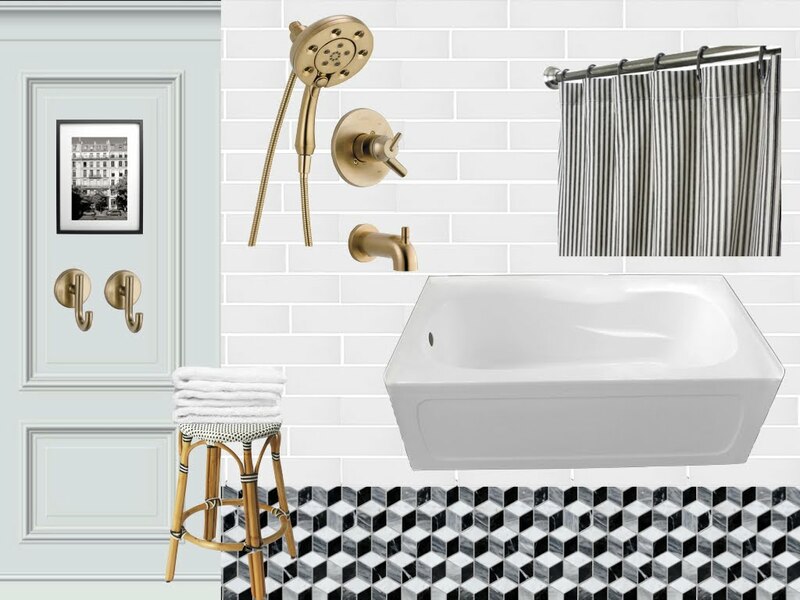 How do you remove tile? It's a dirty, laborious job. 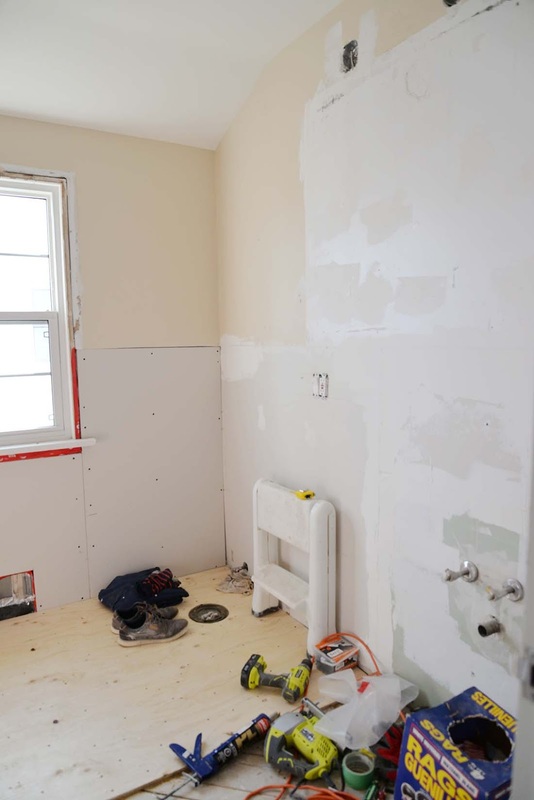 Our first instinct was to smash the tiles out with a sledgehammer but that proved to be messy and dangerous and getting the crumbled cement board out was a pain. So then we did what people in this situation usually do: we looked up How to remove tile from bathroom wall" on YouTube, ha! We watched this video that suggested using a thick metal putty knife and hammer. We tried that but omg it was taking so long. Then our electrician had the great suggestion of using our air hammer. Sean had one with a chisel bit and it seemed like it would work! He first tried using it to take the tiles off one by one and while it was quicker and was easier, it was still taking too long! Then he had the idea to use it to chisel into the grout lines and essentially cut out big pieces of the tile and the cement board at the same time. Best idea ever and he got the rest of the tile removed fairly quickly. The rest of the room saw some changes too. Sean put in new drywall on the bottom half of the room where we ripped out the old tile and drywall. He got a first coat of mudding on one wall but it's going to take a few more coats. 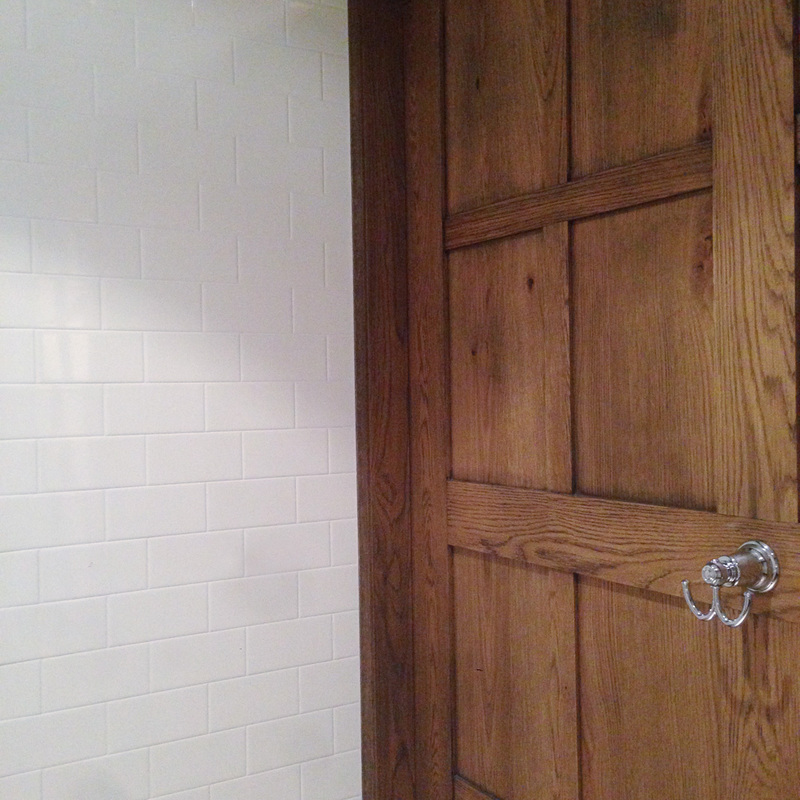 Luckily, this big wall will be covered in subway tile so it doesn't have to be perfect. He also installed the new subfloor. We went with 3/4" instead of 1/2" to give more stability beneath the tiles. 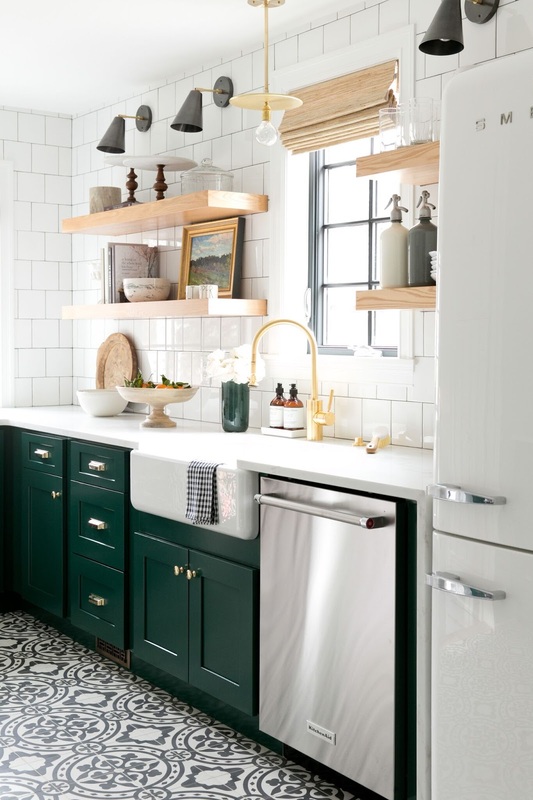 There's different options for the kind of underlayment you should use beneath tile. Plywood + cement backer board is one. Plywood + Ditra is another option. 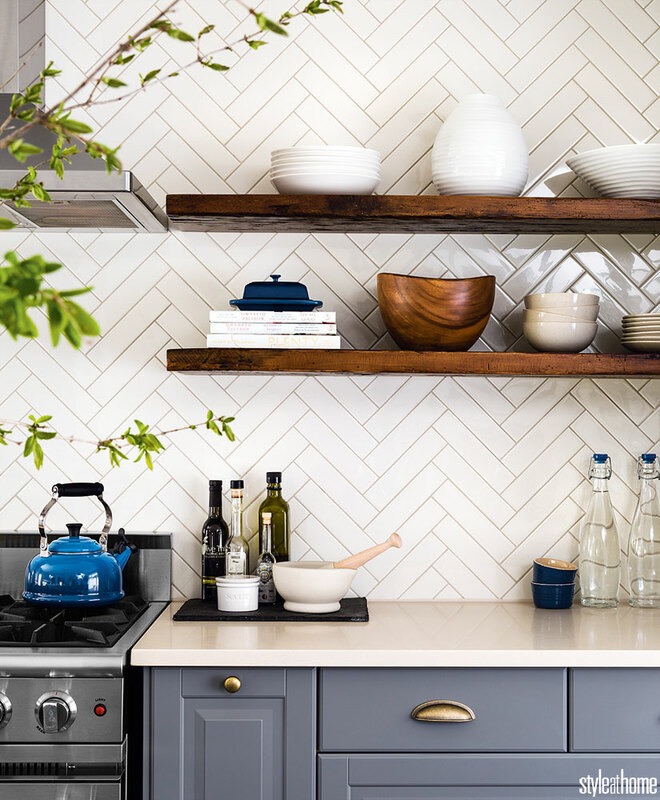 We used Ditra in our old kitchen renovation and those tiles survived a decade with nary a crack so that's what we'll be using here too. 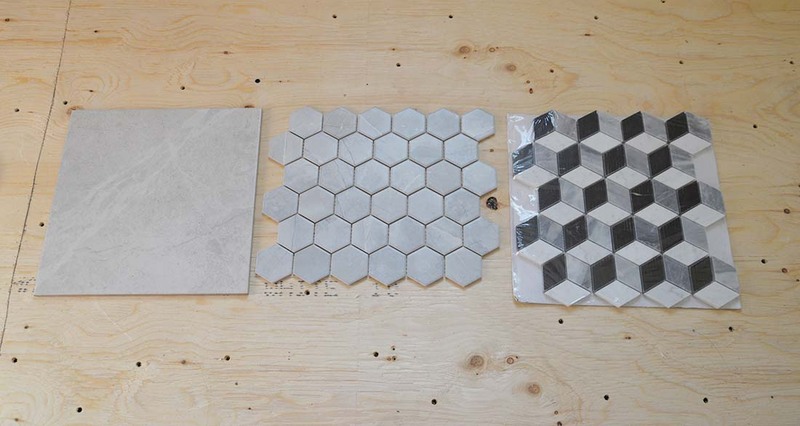 Speaking of tile, let me show you some of the floor tile options we considered! I've partnered once again with The Home Depot Canada on this project so you can find all of these options at your local store or online. 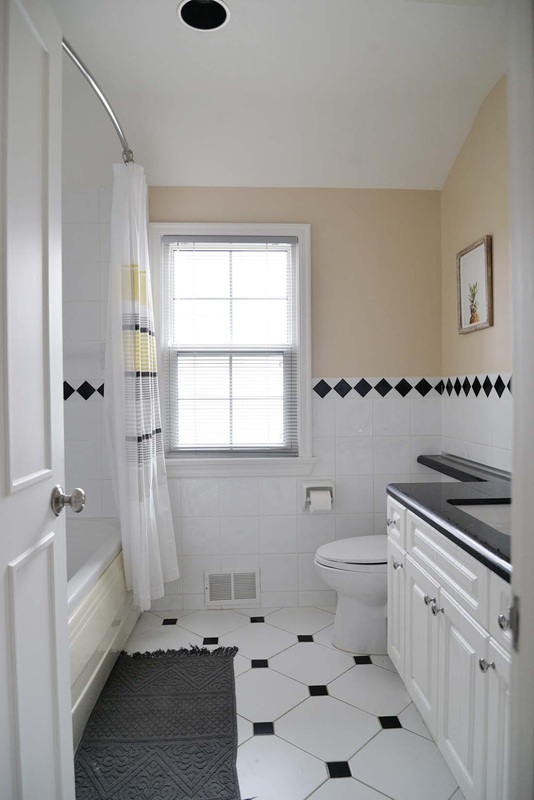 Let me start by saying that I know cement tile for bathroom floors is all the rage these days but I really am not a fan. 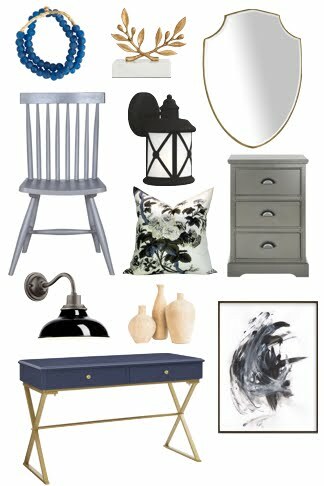 I like it in other people's homes and I love it paired with plain white walls but I think it's a look that will date very quickly. And flooring is a very hard thing to change so I like to keep the look a bit more classic. 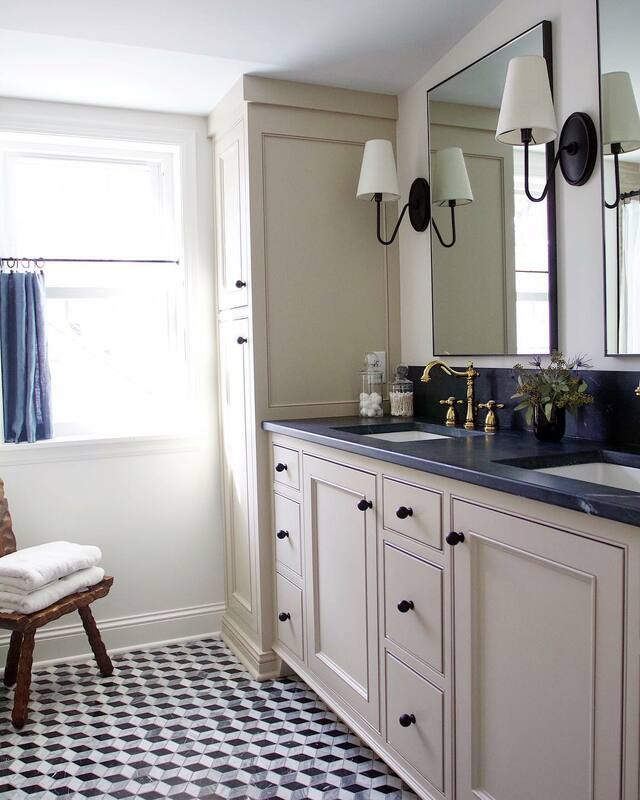 I really loved the silvery hue and movement in the top tile. But barefoot, it felt like walking on stoneware. Or a chalkboard. And the thought of toenails scraping on a wet chalkboard after you step out of the tub was enough to give me the heebie jeebies. The bottom tile had a nice deep colour and had just enough grip. 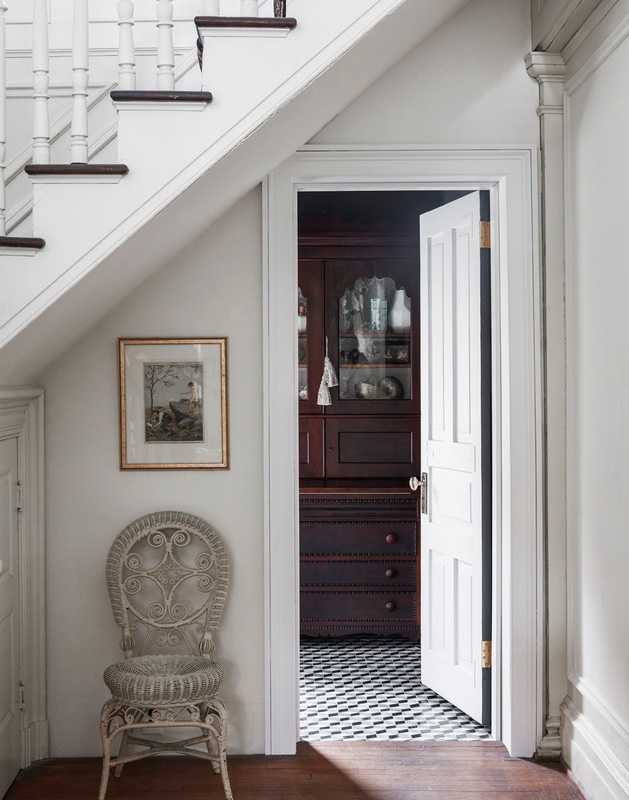 I've always loved a slate looking floor so this was a top contender. 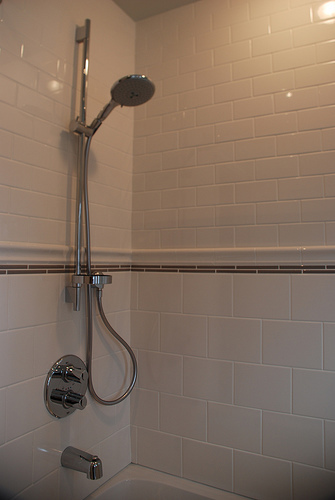 But in the end, we decided a 12"x24" tile would make the bathroom look too small so this too was a pass. 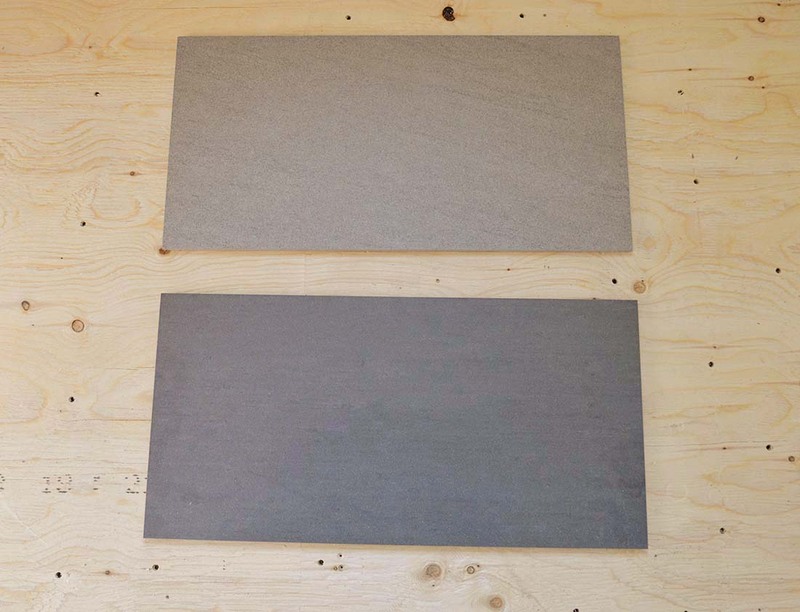 The grey ceramic tile on the left was a nice, safe choice. 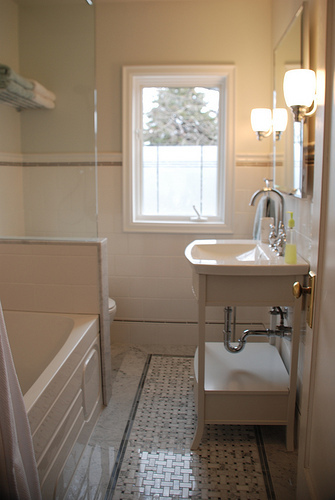 It was affordable and looked good but it didn't quite have that "oomph" I think the new bathroom needed. 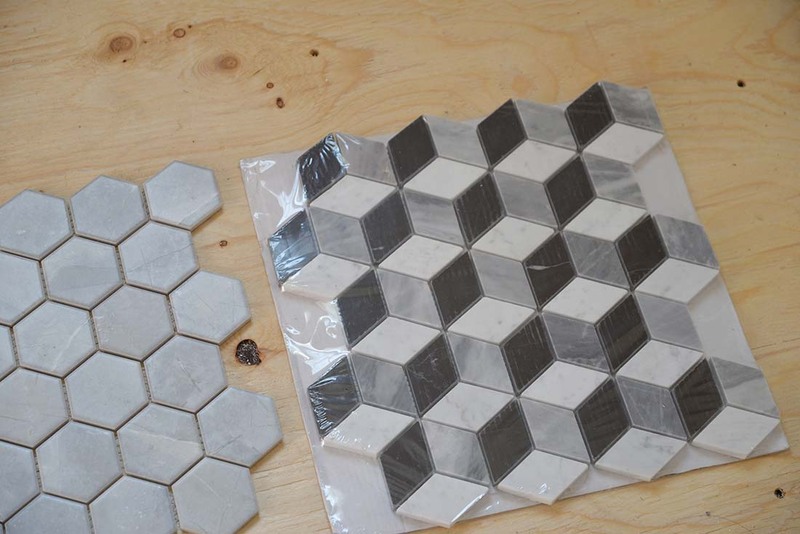 The hexagon tile in the middle was an early favourite when I saw it online. In person though, it wasn't quite as spectacular. It was a porcelain made to look more like marble. The tiles were thinner too and it didn't feel like it would stand up to lots of foot traffic though it was rated for use on floors. I had first spotted this 3D cube mosaic tile two years ago on an end cap at The Home Depot Canada. I took an Instagram story of it and quite a few interior designers asked me about it. It felt a little bold for me at the time and I had no use for it, but I tucked this nugget of information away in my brain. Then I saw it in store recently and knew I had to reconsider it for this project. 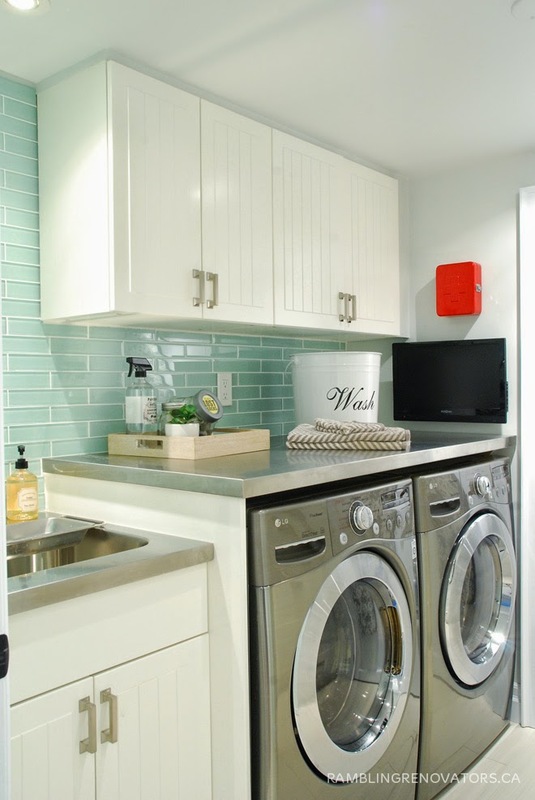 I know what you're thinking... isn't this cube tile just as patterned as cement tile? Yes, it's got a bold pattern but this pattern has been around for 2000 years! I don't think it's one that will ever fall out of favour. As well, rendered in polished marble, it feels very classic yet still modern. This was it. This is the floor tile that will make my French bistro bathroom design sing! At least it confirmed what I thought - it's a good looking tile! 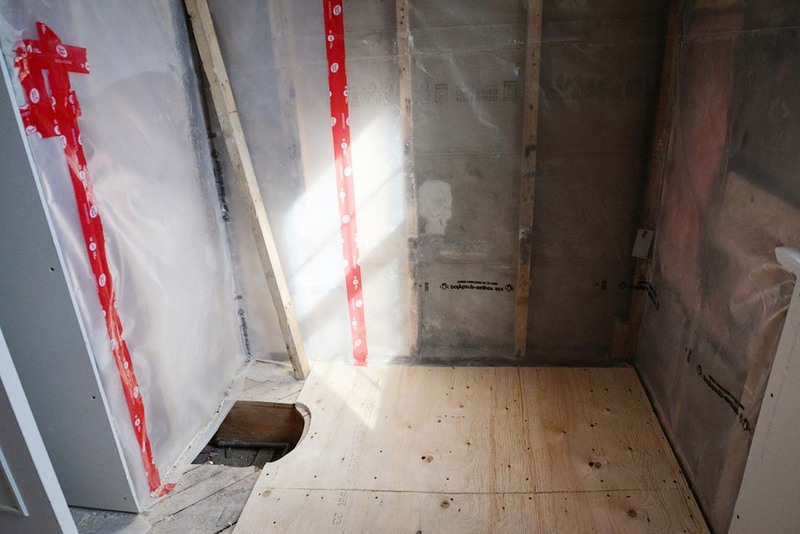 Now all we have to do is get the tub in, the plumbing in, the cement board in, tile the shower, put the panelling on the walls, install the Ditra, and then we can finally install that floor tile ;) And do it all in three weeks... no problem, ha! 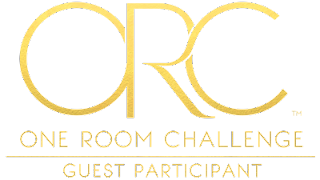 Now go check out the rest of the Guest Participants for the One Room Challenge and see what they've been up to! Disclosure: This post is sponsored by The Home Depot Canada. All expressed opinions and experiences are my own words. Thank you for supporting the brands whose quality products I bring into my own home. We celebrated this young lady on the weekend. This girl, my Chloe, she amazes me. She was in the first generation of 'blog babies', with her early years documented on these pages... and this past weekend, she turned 10! 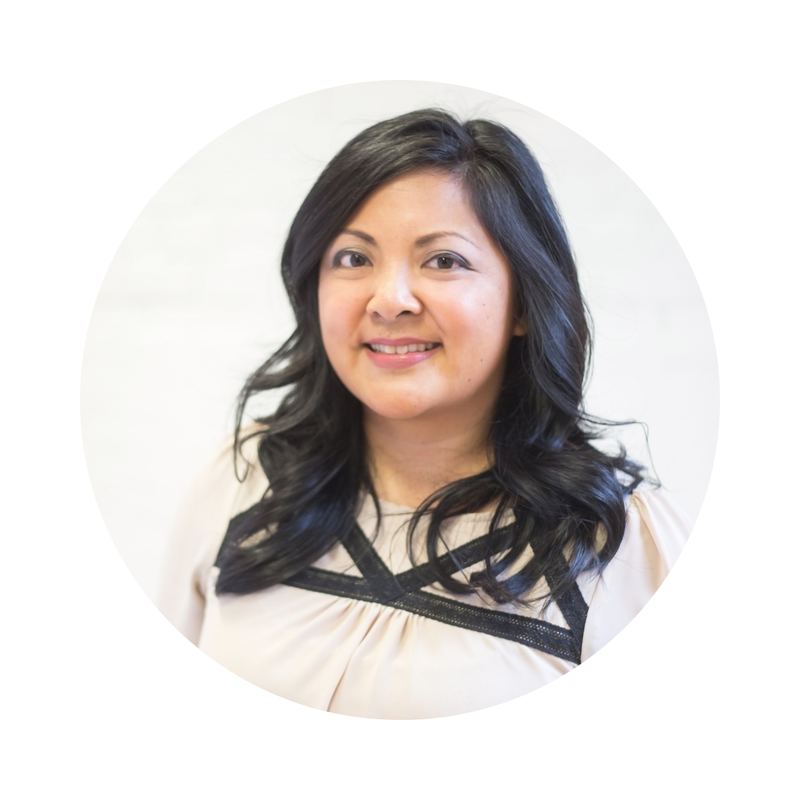 I've thought about my use of social media and how it has impacted her life. I've shown her less and less here over the years. Not out of fear of being off topic or fear for her safety or because my audience isn't interested (all valid reasons) but because at some point I realized her story was not my story to tell. I teach her about standing up for herself, of being aware of her environment, and of trusting her gut. My role as mom is to build that inner fortitude that will help her survive and flourish. And yet each time I choose to put her on my social channels, its a bit like saying 'It's up to me to determine where your boundaries are and it's okay if I cross them'. And I don't think it is. I would have been happy for Chloe to grow up in a world without social media but that's not the case. The tragic fire at Notre Dame yesterday reminded me that we see the world through the lens of our devices. It's the lives we share online that ultimately link us with more people than we could ever know in person. That's a blessing (I've been enriched to share so much with you kind readers!) but it has consequences that I don't know we fully understand yet. 10... what a wonderful age. I can't wait to see what she has in store for this world next.